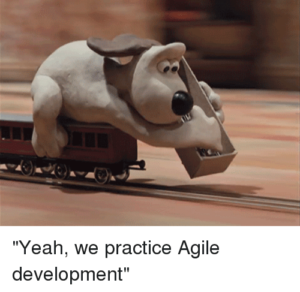 2) Agile Development Statement Of Work. These contractual documents are based on versions we previously produced for our clients, whereby software developers agreed to provide bespoke software and related products and services to clients of theirs. The documents include a number of terms and provisions that specifically relate to, and cater for, the work being carried out using agile methodology. The main agreement takes the form of a master services agreement, which means it is designed to sit alongside corresponding statements of work (SOWs), which may be agreed and signed on an ad hoc basis as and when work is required. These SOWs are intended to set out the precise nature and specification of the software/products/services to be delivered (including their performance, design, build and quality standards), a roadmap plan detailing any applicable timelines for their delivery and implementation, the charges payable, plus any acceptance/testing criteria and user requirements/features (‘stories’) against which the software will be benchmarked. There is no obligation on either side to request or deliver any services until both parties have signed a statement of work. Milestones and development activities under the agreement are implemented in fixed incremental time periods (or ‘sprints’), which may be monitored by planning and review meetings and have budgets assigned to them. The agreement also includes a warranty period during which the developer agrees to rectify defects identified in the software once it has been deployed in a live environment. The agreement has been drafted such that rights in the newly developed software vest in the client, subject to any third party or open source software incorporated in it (which will be licensed to the client “as is” and on their relevant terms). Words surrounded by square brackets indicate areas which you will need to verify, amend, or where you will need to add information. The template SOW has been based on a real-life example, containing several instances of specimen wording which has been included for illustrative purposes only and should be tailored by you to reflect your specific project and requirements. Please also bear in mind that the formatting is not as ‘neat’ as we would have liked, given that the Word documents are adapted from versions originally created using Google Docs – which our clients wanted us to work from. If you would like any assistance putting together or negotiating your own agile software development contractual documentation we would be delighted to arrange an initial call and provide you with a quote.